Excitement and anticipation continues to rise here at BS Stainless as we prepare to attend Gastech 2017 in Japan. Our exhibit stand has been confirmed as No 9345 and we look forward to showcasing our innovative range of products with particular focus on our acoustic and moisture barriers. Gastech 2017 is the leading LNG and gas conference in the world and is billed as ‘Advancing the Role for Gas & LNG in the Global Energy Mix’. It welcomes commercial experts and technical innovators from all sectors of the immense supply chain, allowing them to create new connections and share ideas and information that will advance technology. New insights will be discovered and solutions found; BS Stainless are an essential presence at the conference, as we have been for several years. We are at stand 9345! Over the four days of the conference, there will be four specialist, tailored events: Women in Energy, VIP Programme, Young Gastech and LNG Procurement Programme. 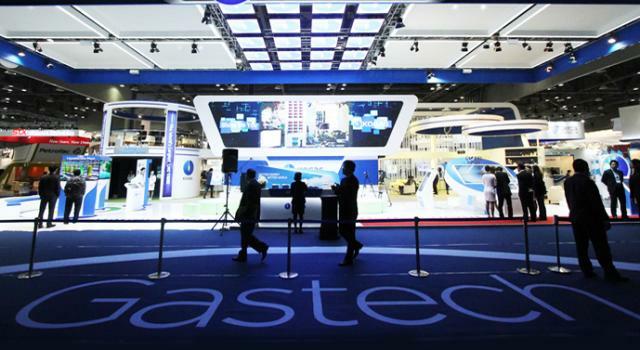 The last time we attended Gastech, we were in a developmental stage with our unique metal laminating technology. This time, we will be able to showcase many samples of our different materials and also show video footage of the machine in action. This arc of development has been carefully followed by many regular attendees to Gastech and represents a crucial leap forward for us, as well as the LNG industry as a whole. As always, the people at Gastech are forward-thinking and, before this year’s event has even begun, have arranged the venue for the next. This will be Barcelona in 2018 and repre­sen­ta­tives from BS Stainless will be there. YOU will be an essential factor in what we will be showcasing there as it is our customers who discover new uses for the products we carefully design. Keep up to date with the latest updates from our trip to Gastech 2017 in Japan by subscribing to our newsletter and following us on social media.